Chinese authorities have said they are considering lifting their controversial one-child policy by the end of 2015, according to reports. 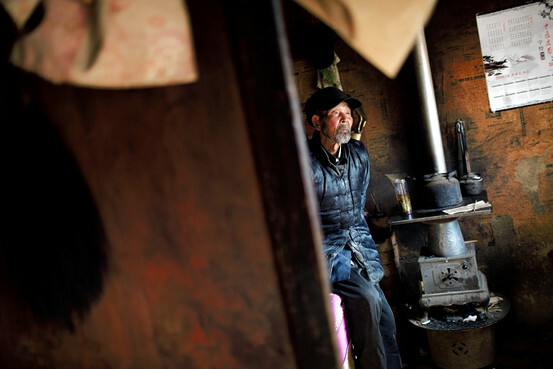 An elderly man sits in his house in Yuangudui village, in China’s Gansu province. BEIJING—China’s elderly are poor, sick and depressed in alarming numbers, according to the first large-scale survey of those over 60, an immense challenge for Beijing and one of the greatest long-term vulnerabilities of the Chinese economy. The survey of living conditions for China’s 185 million elderly paints a bleak picture that defies the efforts of the government to build what it calls a “harmonious society,” one dedicated to human welfare rather than simply economic growth. Of the generation that built China’s economic boom, 22.9%—or 42.4 million—live in poverty with consumption of less than 3,200 yuan a year ($522). Methuselah himself might have struggled to win a place at one of Beijing’s most popular old people’s homes: the waiting list is currently 100 years long. BEIJING — Visit your parents. That’s an order.